Video content has become immensely popular. Over four billion hours worth of online videos is watched every month. In the United States alone, the average person watches roughly 5.5 hours of video every single day. All of this makes video marketing super important. After all, those are some pretty huge numbers! 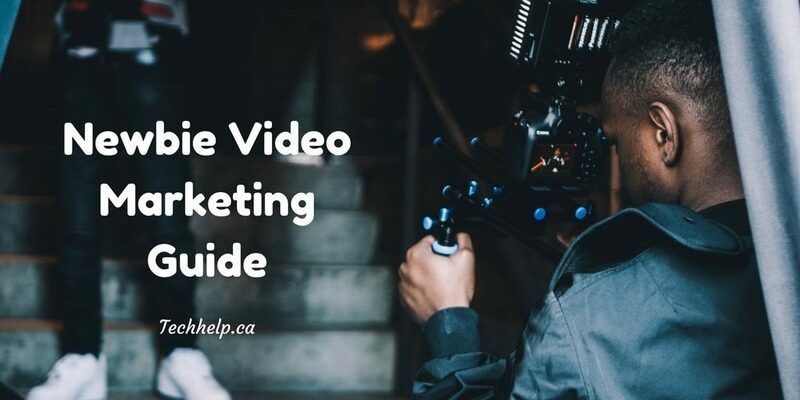 It can become a bit worrisome if you haven’t used videos for marketing before but don’t worry, this guide will show you how. On behalf of the team, welcome to Tech Help Canada. We’re an inbound marketing and design agency. You’re reading our guide to video marketing. If you are looking for a way to spread your message, grow your brand and sell more products, video marketing is the ideal choice. Even if you aren’t tech savvy or working with a massive budget, you can still produce high-quality content that engages your audience and gets them interested in what you have to offer. The following is a complete guide to planning and creating killer video presentations. If you follow these steps, you can be distributing information and making more sales in time. The steps laid out here are all very simple and can be done by anyone, regardless of your budget or skill level. Video is big and it’s getting bigger, especially on the Internet. While traditional broadcast mediums like television and movies may be dying out, sites like YouTube are soaring in popularity. Visual presentations are perfect for the web and many people prefer watching them to reading blog posts or articles. When many people go online, they want to be entertained and learn something without having to do a lot of work for it. They also like to see what is being discussed. In fact, many people have an easier time learning if they have something to look at. By creating a visual presentation, you can better educate your audience and get them to understand your message with greater ease. Video is also the medium of choice for many of the biggest Internet players, who use it to deliver successful presentations. These clips often bring in millions of dollars worth of sales, help to raise all kinds of awareness to different causes and events. Additionally, major Internet companies like Google have put a lot of money into developing video services like YouTube. They’ve spent billions of dollars to ensure that sites like these run smoothly and provide users with the best experience possible. Even most web hosting companies now allow videos to be uploaded. If you don’t want to have your content on a site like YouTube, you can publish your videos directly to your own website. Video marketing is a multi-billion dollar industry, backed by some of the biggest companies on the Internet. Additionally, it is an easy way to reach your audience and get them to hear your message. 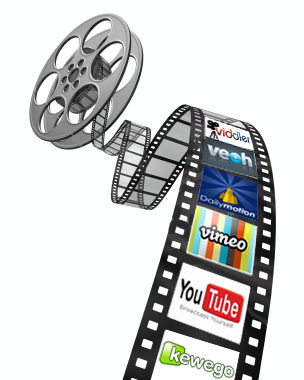 This combination makes video marketing a goldmine for profits. Other companies have made fortunes off of their video presentations, so why shouldn’t you? Years ago, it was almost impossible to publish a video online. Why? The technology just wasn’t there yet and Internet speed was so slow that very few people could have watched your videos anyway. As a result, most marketing had to be done through text. Sales letters were the dominant marketing tools, every company used them. These letters would generally be static text that explained a product and its benefits. The letters were often long and had very few visual elements. This meant that most readers would eventually tune out and leave before reading the message completely. 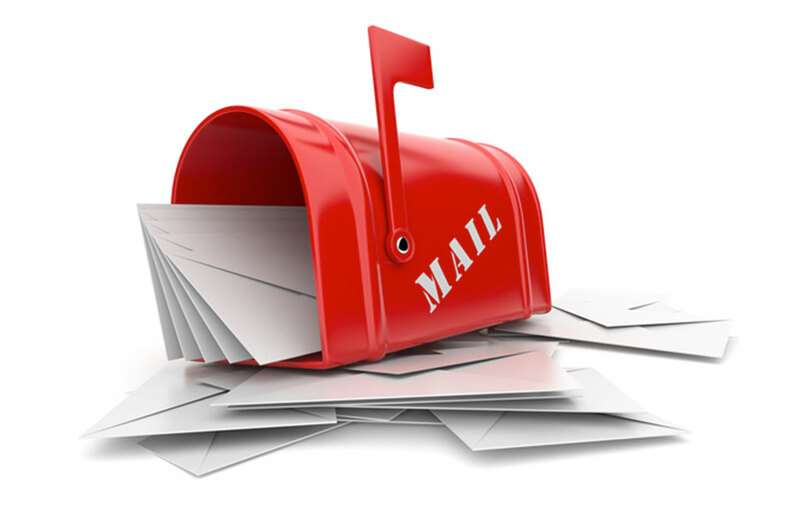 According to research, only about 16% of the people who started to read a sales letter would ever finish it. Those numbers aren’t exactly the greatest. Another study by the same team found that the numbers get worse when it comes to email newsletters. Another problem that sales letters faced was their inability to control information. People would start reading a sales letter, scroll down to look at the price of whatever was being marketed and then decide that they weren’t going to pay that much money. Readers would skip over all the benefits and end up missing out on a great product. With video things are a little different. You can use all kinds of visual or audio cues to keep your audience engaged and interested in what’s going on. You can also control the narrative, making sure that people discover all of your product’s benefits before they see the price tag. These major advantages allowed marketers to produce videos that outsold traditional sales letters and turned far greater profits. In time, sales professionals began to realize that video presentations were far superior to words on a page. Although text isnt dead and it will never be so, video marketing provides a better means for some businesses to communicate! Before you can start shooting videos, you need to know what you are marketing and who your audience is. Not having a clear goal or specific audience are two of the biggest mistakes that most people make. Because of this, it is crucial that you figure out what you are selling, how you plan on pitching your products and who is buying. While there are numerous ways that you can pick your products, beginner’s should find a product that they are passionate about and sell that. Another important aspect of your niche research is determining how you plan on reaching your market. Look for ways to be unique and interesting. Find topics that will make you stand out against the competition. How you sell is just as important as what you are selling. Lastly, think about your audience. What problems do they have that your product or service solves? Why should they do business with you? In what ways can you make their lives better? If you can answer these three simple questions, you may be able to persuade your viewers into buying from you. If you want your audience to buy from you, you need to understand what makes them “tick.” The best salespeople in the world go into each deal already knowing what their buyer is looking for. 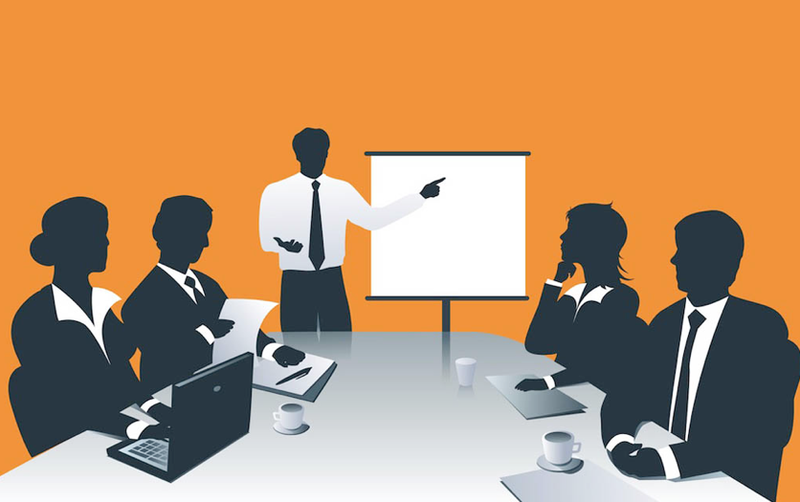 If you know what your market wants, you can tailor your presentations to meet their needs. Preparation pays off big. Especially when you are shooting videos! No one wants to sit through a presentation where the speaker is fumbling around and not making any sense. Because of this, you should script your videos and practice them before you ever shoot a single second of film. But if you want to avoid practicing for the video shoot, make a slide and use it as reference for each topic discussion. Write out an outline for each of your presentations. What are you trying to accomplish? How do you want to relay information? What is your main point? Are there any props or visual elements that can be used to enhance your message? Every presentation needs a point. Otherwise you are just wasting people’s time. Write down your main goal and keep it in mind as you plan your presentation. Something as simple as writing “Goal: Explain why _____ is important” can be the difference between an unfocused presentation and a video that smashes sales records. After you write down your goal, come up with three supporting arguments that can help reinforce your main point. Three is a good number because it is enough to persuade people without overloading them with information. Once you’ve drafted your presentation, plan out the visual elements. What will the camera look at? Are people going to be on screen? How will they be dressed? Can you show your product in action? Do some prep work with the visual elements. This way your video will end up looking fantastic and there won’t be any distractions that take away from your message. Now that you’ve crafted a winning presentation, let’s create your video! It wouldn’t be a complete guide to video marketing, if we didn’t cover this area. When it comes time to shoot your videos, there are three key aspects that you must consider. These are your camera, your audio and your lighting. You’ll also want to think about whether you want to be responsible for shooting your own videos, or if you want to outsource the production to someone else. You do not need to rent or buy fancy camera equipment. Websites like Amazon sell HD webcams for as little as $50. These are perfectly fine for the majority of sales presentations. When it comes to setting up your camera, simple shots can be highly effective. Putting the camera in front of you so that you are facing it is about as basic as you can get. Yet many great ads have been made this way. In order to record good audio, you need an external microphone. Otherwise it will be hard for people to hear what you are saying. A presentation isn’t any good if no one can hear what is being marketed. Keep that in mind and make sure that you have a microphone setup to record all the audio. Lighting can make or break a presentation. Depending on where the lights are set up, the entire tone of your message can change. To get the most out of your lighting, use a bright light source positioned above the speaker and angling down on to them. Putting your light below the speaker and pointing it upwards will make them look 20 pounds heavier than they actually are. Not very flattering! But pointing your light source down will illuminate the person while leaving their physical appearance unaltered. If you want a great and inexpensive source of light, use a desk lamp. This is what low-budget filmmakers have been using for years. It is cheap and still gets the job done. Now that you know about cameras, lights and audio equipment, it’s time to determine whether or not you want to shoot the videos yourself or hire outside help. The main advantage to shooting your own videos is that you have complete control over how they turn out. This means that you can film them exactly how you’d like to. On top of this, doing your video production yourself saves money. It is far less expensive to film your own presentation than it is to hire an outside agency. If you’re strapped for cash, making your own videos will be far more cost effective. Outsourcing is a great way to save time and make your videos look more professional. If you’re nervous about filming or are too busy to make your own recordings, there are professional video companies that can help. These businesses can handle all of the production. 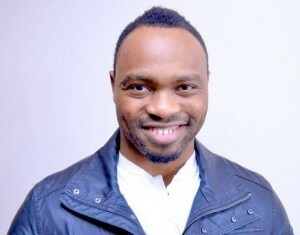 Many will even provide their own actors and actresses. As an added bonus, production companies already have great camera equipment, filming locations and editing tools. If you’ve got the money to spend, outsourcing can really help to increase the professionalism of your videos. After you’ve shot your video, you have the opportunity to make last minute changes and fixes during the editing process. In the old days editing was immensely difficult. People spent months splicing film and cutting scenes together. Now you can make all the changes you want to in minutes. There are numerous editing tools out there. Some are free and others require you to buy them. Depending on what your budget is and how many videos you plan to shoot, you might want to start off with a free video software. During the editing process you can clean up any mistakes and smoothly transition different aspects of your film. You can also add additional features like title screens, text and graphics. These can all be used to spice up your video and make it more memorable for the viewer. Before you upload what you have recorded, be sure to sit down and edit your video. Even making a few minor changes, like smoothing out the audio or adding on screen text, can make your material seem significantly better. Now that you’ve got your presentation recorded and edited, the time has come to unveil your video to the world. But before you can do so, there’s one last thing that needs to be taken care of. You have to choose where you’ll upload your production. The two most common places that people post their videos are on YouTube or directly on to their website through a private hosting service. YouTube is one of the most popular websites in the entire world. In 2011 they reached over one trillion views. That’s more than 140 views from every single person on the face of the Earth. If you want your videos in a high traffic location, YouTube is an excellent option. YouTube will let you host your videos for free and they’ll even pay you advertiser money once you reach a certain number of views. Additionally, YouTube lets you link content to other sites. This means that marketers can use their YouTube videos to drive traffic to their sales pages and order forms. Using YouTube is an easy way to boost sales without having to spend money on a video hosting service. The only downside to posting videos here is the lack of control that you have over the platform. YouTube has been known to yank certain videos off their site and as reported by some people, without giving a clear reason why. While YouTube is a great platform to publish your videos to, many marketers or business owners prefer to host their material privately. This means that the videos they upload are only available on their websites and are embedded directly into the site itself. There is no third party host. This allows them to have complete control over their video. They can make sure that it doesn’t get taken down and ensure that there are no on screen distractions that would get viewers to click away. Additionally, privately hosted videos are generally on the same site as the product being sold. People don’t have to visit a new web address and can simply buy the item right away. The biggest downside to this method is the fact that hosting massive amounts of video can become expensive. While YouTube is free, uploading videos and hosting them on your site may require the utilization of more server resources. However, for some businesses, it’s well worth it. In this section, we would love to write a big technical spread about how to market your video but we already did. Think about it, everything that you have read so far is an essential part of video success. The best way to market your video is to tell people about it. Video marketing can be challenging if you are unfamiliar with the things that make up a good video. It is difficult to market a video that is unappealing to the target audience. There is no rocket science to video marketing; your video only needs to be good and targeted. SEO (search engine optimization) plays an important role in video marketing. As soon as you launch your video to YouTube and it goes live, your video becomes it’s own web page. To maximize opportunities, you have to build links to that video page. These links can be a combination of social media shares and website links. The amount of links that you need to build will depend on how competitive your keywords are. You can hire a professional SEO firm to build links for your video page or you can learn how to do it yourself. To learn how to build links to your videos or website, use this Ultimate Guide to Link Building! Video is a powerful marketing tool, one that outperforms almost every one of the old sales techniques. It is a great way to get your product or service noticed and to start increasing your profits. Despite its immense power, making videos is simple. To shoot successful videos, find out who your audience is and how your product can help them. Look for ways to showcase the benefits of what you are selling and make sure your viewers understand that what you are offering can improve their lives. Once you know your market, plan out the message that you want your video to send. What is the purpose of your presentation? Mapping this out will make your videos carry more of an impact. It will also engage the viewers and get them eager to buy from you. Once you have everything planned out, grab your camera equipment and start shooting. After that, take your footage and edit it before publishing the final video online. If you are willing to do a little preparation and research, you can easily create amazing videos that spread your message, as well as get people interested in buying from you.